The default Export in SuiteCRM includes almost all the fields that exist in the module. Sometimes this is confusing and makes it hard to find the necessary information from the exported files. That often means extra work for you or your team to find the data that you care about. To overcome this problem we have launched “Sweet Export”, which will export the module record in a manner which will be more useful without any extra effort. Sweet Export makes it possible to export records from the ListView. Only the fields displayed on the ListView will be exported. Sweet Export also works with the “Saved Search” and “Layout Options”. It also checks if the user has permission to export the module records or not. The Sweet Export ListView action button/link is not displayed if the user is not allowed to export the module records via Role Management or Security Groups. Once you are done with the installation and License key configuration you will have "Sweet Export" option on the ListView. 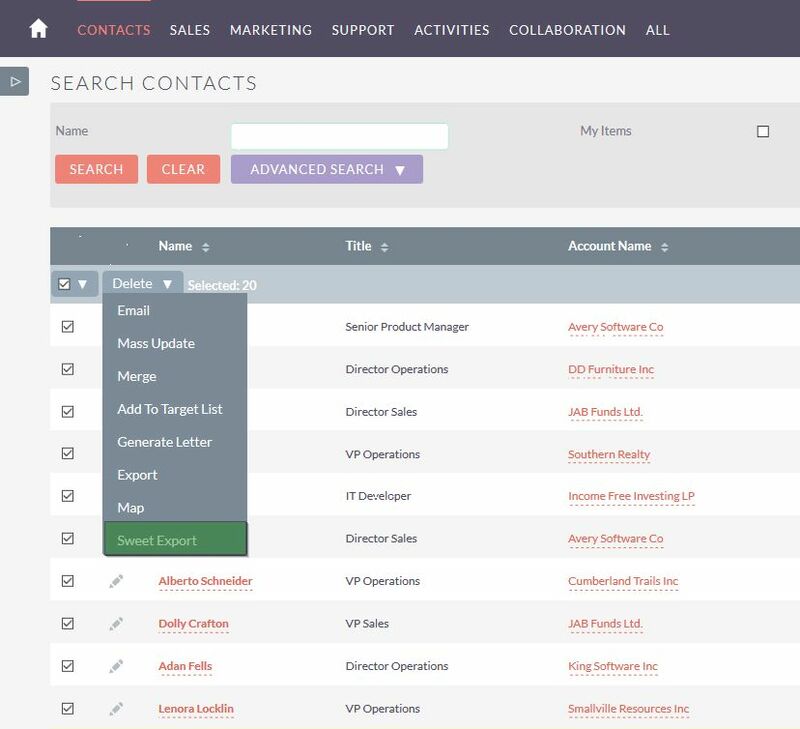 SugarPrint enables printing to PDF / XLS export of any: List view, Detail view and Calendar view in SuiteCRM Community Edition. 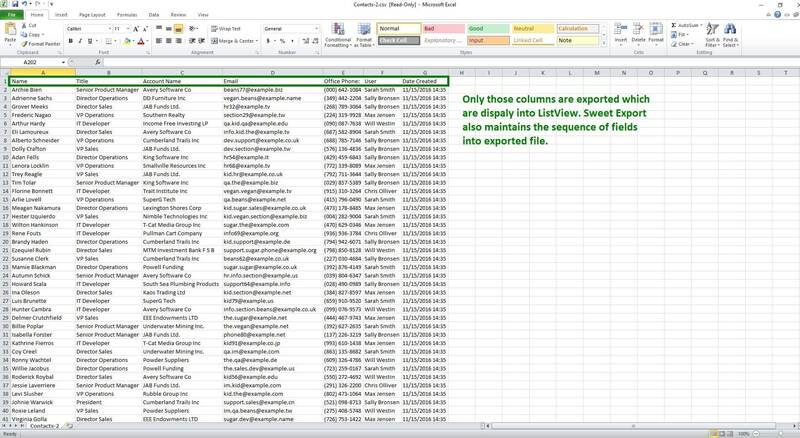 SugarPrint makes exporting basic or advanced Search Results to PDF or Excel a one-click process.